Walkers Point Marina Customer Accounts make boating and summer fun even easier! Create an account with us where you can charge your daily marina store expenses to (including fuel, Ice Cream Shoppe & Marina Merchandise) and quickly get back to having fun on the water. Has your boat spent time in our service department? These charges can also easily be applied to your account! Your customer account will automatically clear any charges incurred by processing payments onto your chosen credit card twice per month. We would be happy to have you sign up with us! 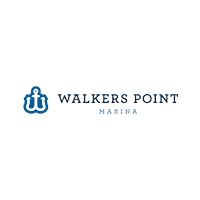 We ask that all customers wanting to utilize autopay please complete and sign the form below Autopay Credit Card Authorization Form – authorizing Walkers Point Marina to charge your credit card automatically. At the end of each month you will be emailed an account statement for your review. Please fill out the PDF attached below and email it to jodoardi@walkerspointmarina.com and we’ll get in touch shortly.